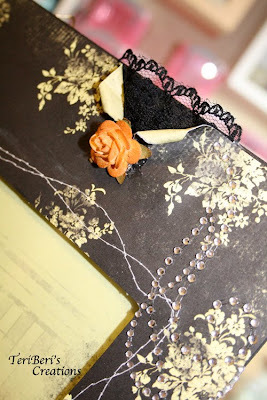 For this frame I used a new line of paper I had never used before.....it's called Glitz and it can be found over at GENERATIONS CRAFTING!!! Last week I received a surprise package from my friend Regina from AllThingsPretty .....she sent me some die cuts from some new dies, some lace and some super cute stamped tags - THANKS REGINA!!! 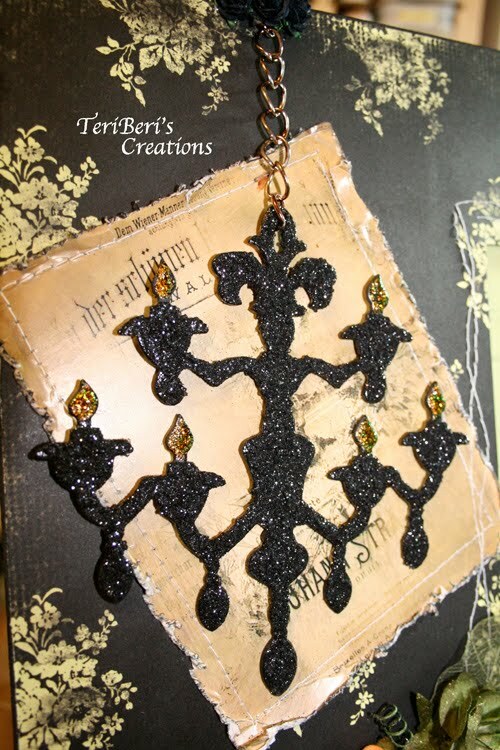 I really wanted to use this chandelier cut so I painted it black, added some beaded medium and while still wet, I added black glitter. WOOOOO HOOOOO!!!!!! This is so super exciting news!!!! 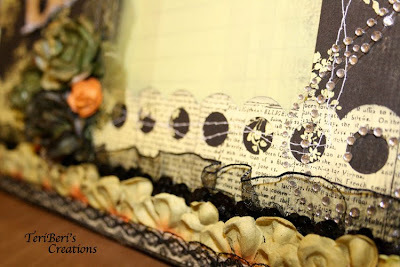 Be sure to join me and all of the SCACD designers and guest designers for a fabulous blog hop on Friday, October 29, 2010 but as usual, Susana is giving some blog candy, so head on over to the store blog and enter HERE for a chance to win!!!!! Gorgeous Teri! Love your frame. Regina is such a sweetie. TFS! 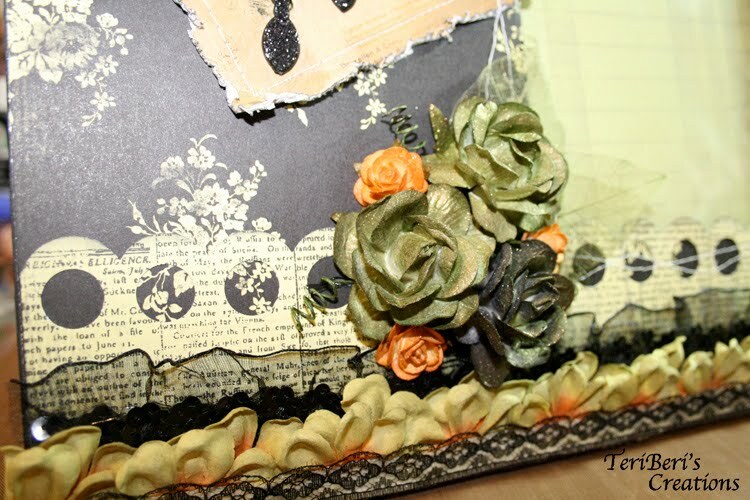 How fun to get a package in the mail... Teri, this is so beautiful. 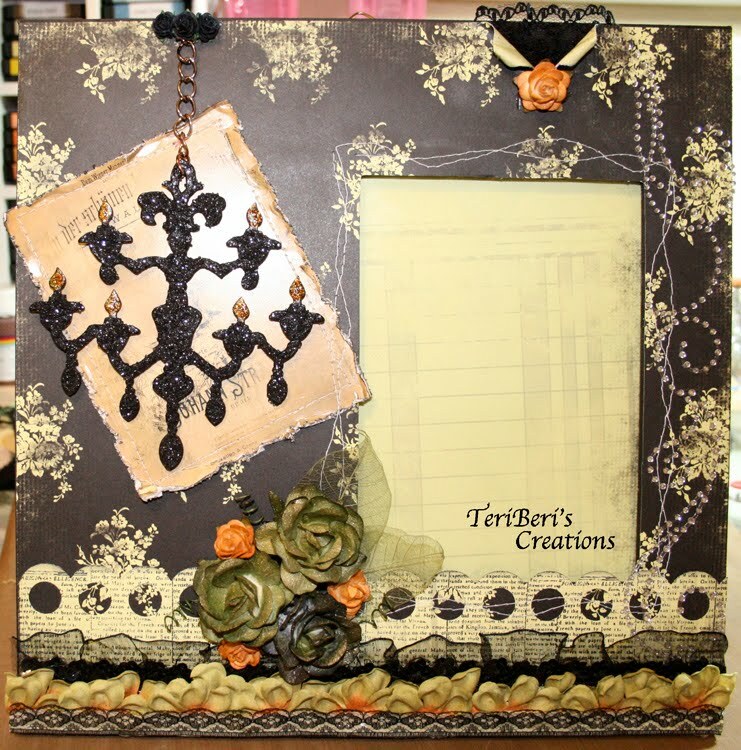 You are outdoing yourself with these altered frames Teri! I love each and everyone you've made. Gorgeous! I bought that EK Success punch because of you! I'm so glad you were able to use the goodies I sent you! The frame is gorgeous. I like this one alot. Beautiful. 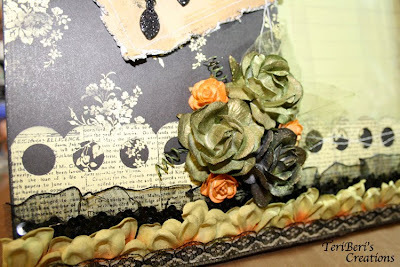 I really think this is great and love the details!!! Teri, gorgeous, gorgeous layout!!! Absoloutely, love everything about it!!! This has got to be one of my favourite layouts ever. =) Thank you for sharing!! !